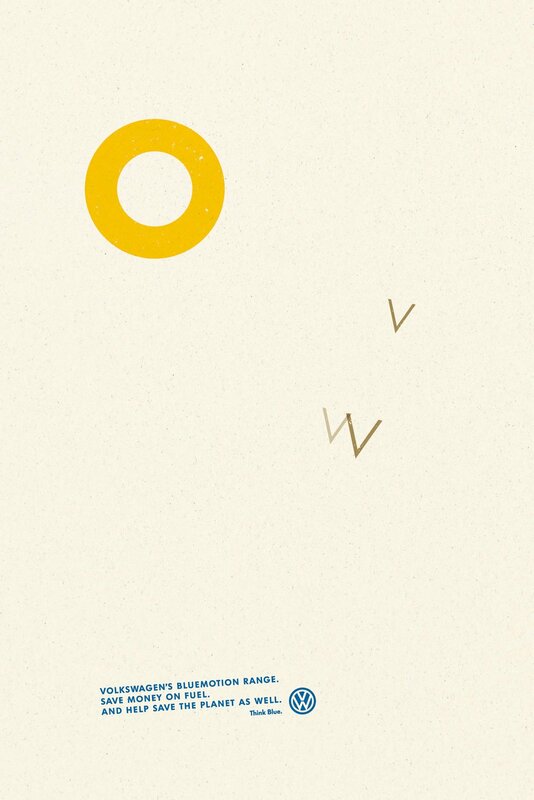 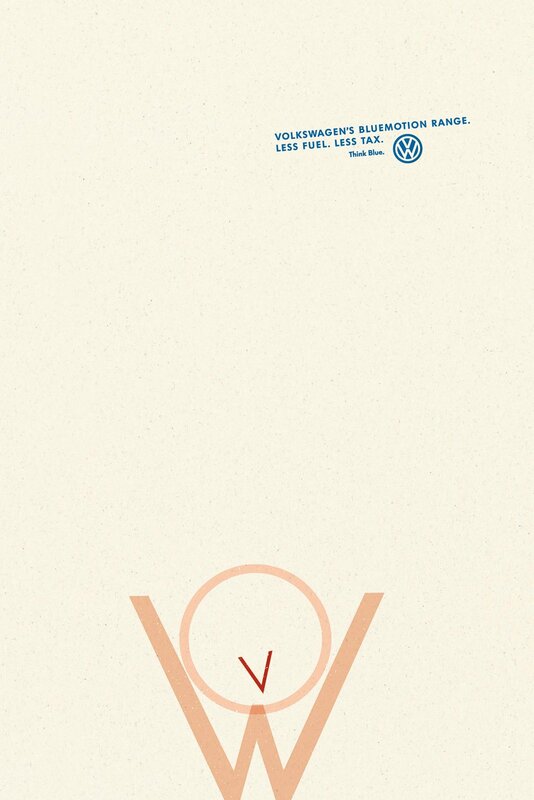 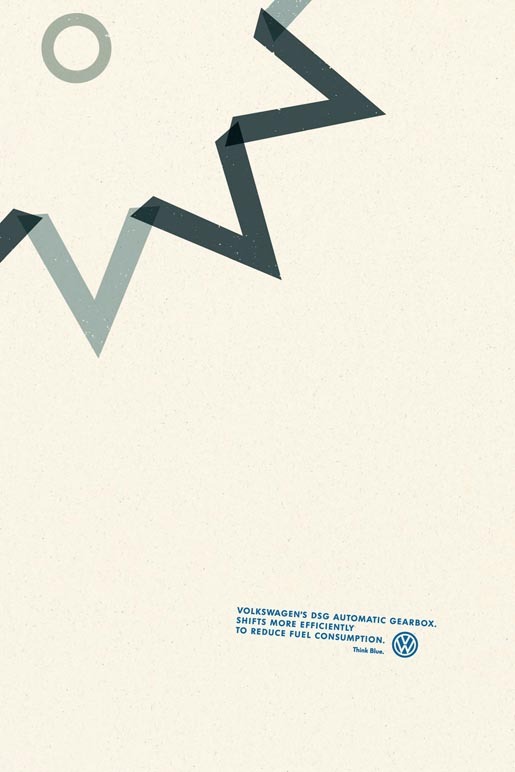 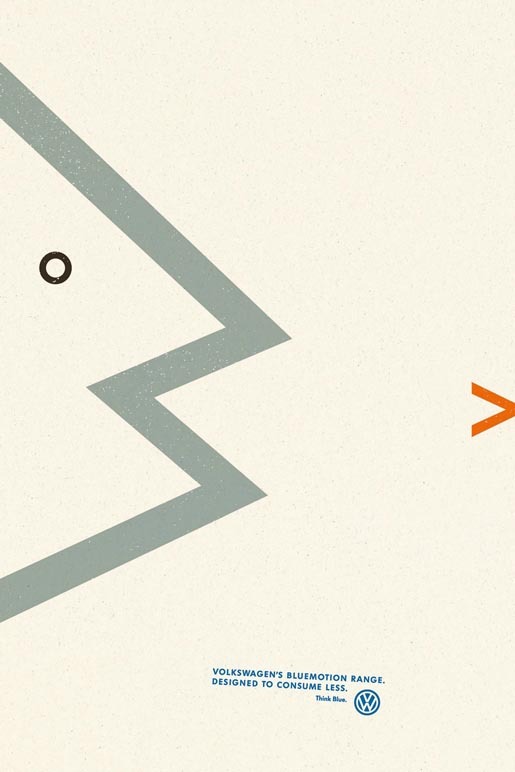 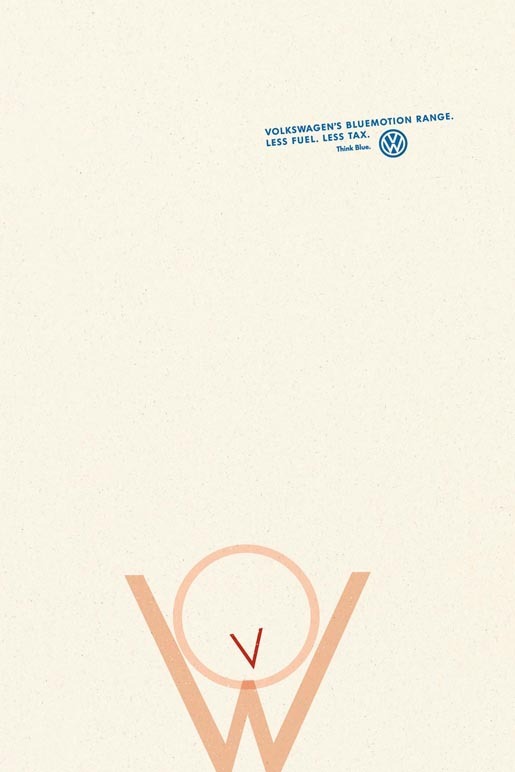 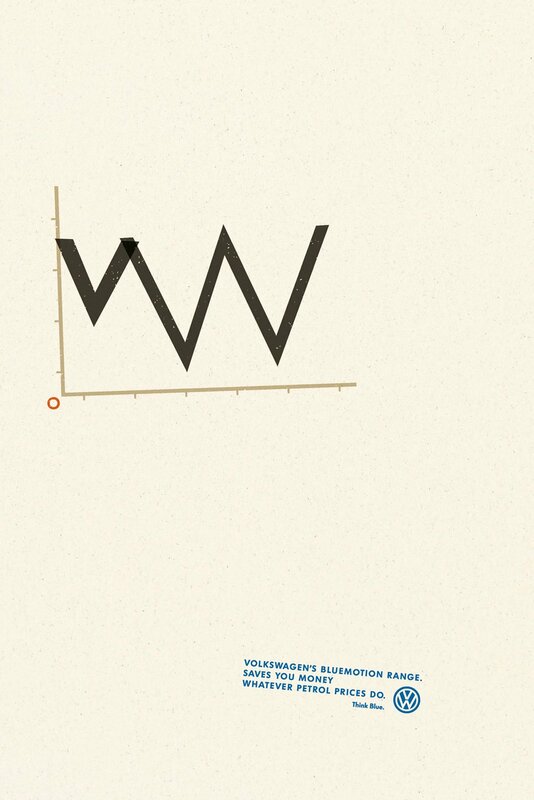 Volkswagen has released a print advertising campaign using the V and W of the company logo to celebrate the efficiencies of the Bluemotion range. 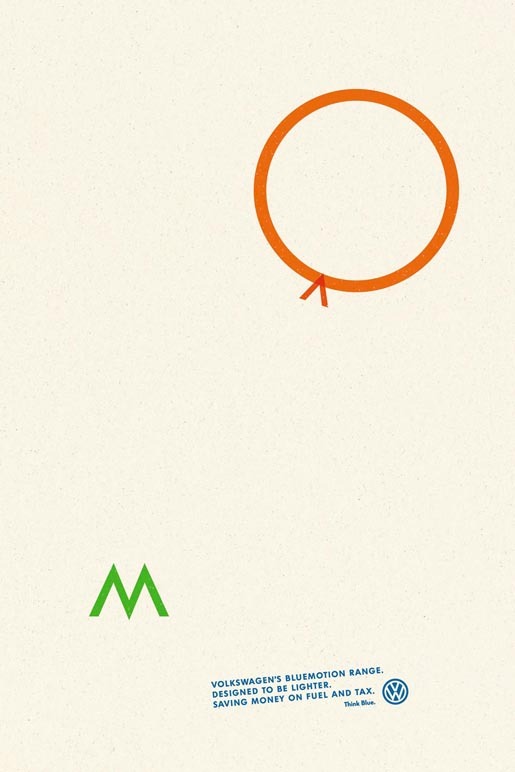 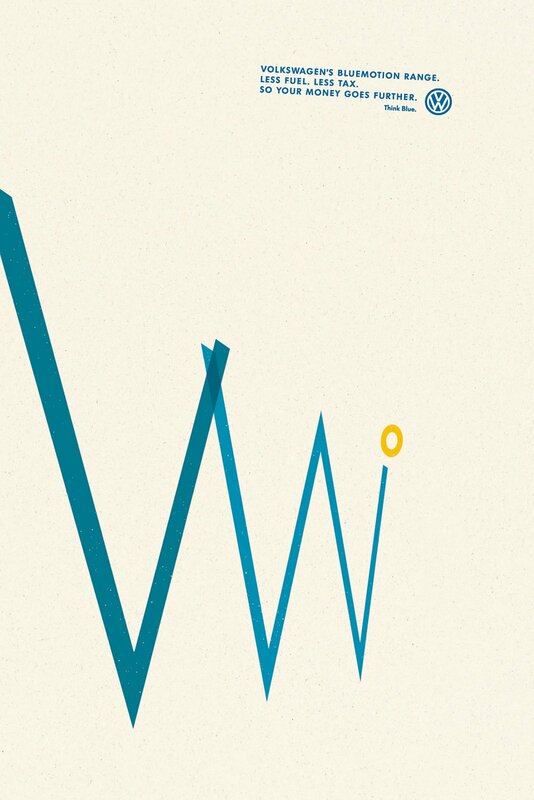 Simple pieces of art rearrange the letters as a flower, cheering man, bouncing coin, birds, big fish and small fish, balloon, cog and graph. 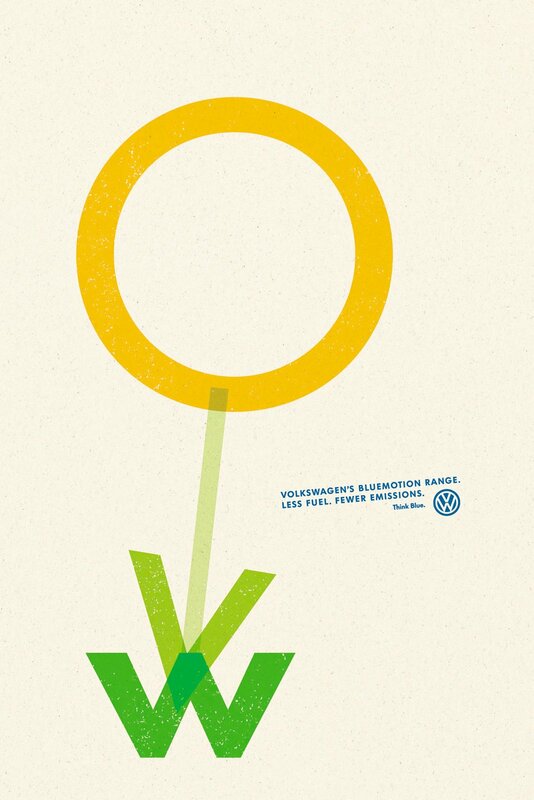 The Bluemotion Art campaign was developed at DDB UK, London, by creative director Jeremy Craigen, art director David Mackersey, copywriter Jonathan John and designer Pete Mould.